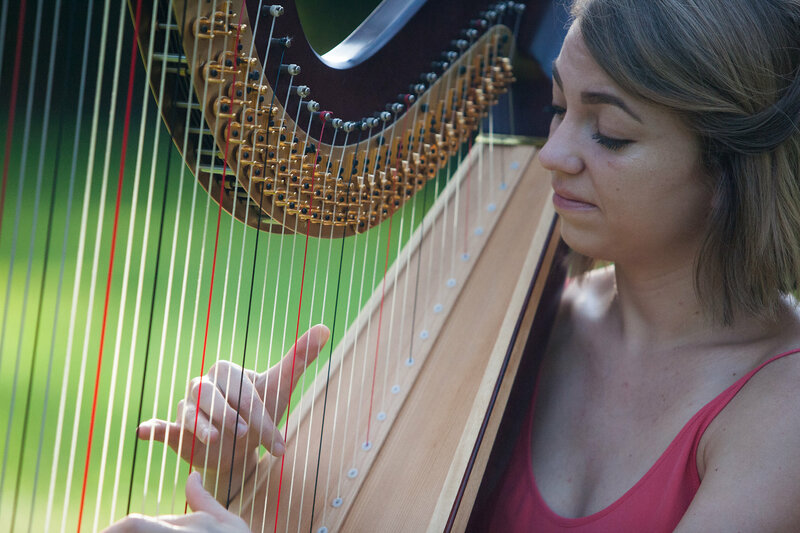 Stephanie teaches lessons in pedal or lever harp, for students of all ages, abilities, and backgrounds, and students have the option of 30, 45, or 60 minute lessons. Stephanie's students are given the opportunity to perform in two studio recitals each year of solo and ensemble music, and students are encouraged to participate. Other performance opportunities are made available to interested students throughout the year, including competitions, ensemble playing, and community engagement. Lessons can include repertoire of all genres, customized based on the student's goals and interests. In addition to classical pieces, students may learn pop music, jazz, religious repertoire, holiday favorites, and students are encouraged to arrange music they love or compose songs for the harp. Stephanie has two studio locations: the Heights (just off of 610 and 45) and the Woodlands/Spring.